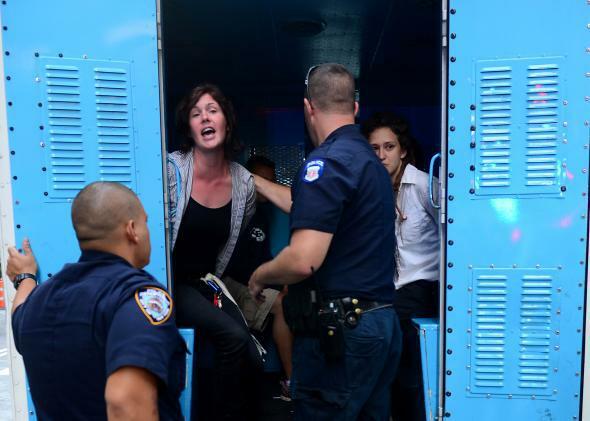 Cecily McMillan found guilty of elbowing officer Grantley Bovell at an Occupy Wall Street protest. Police arresting Occupy Wall Street protesters. No one disputes that McMillan jammed Bovell in the eye. The question, however, is whether it was an act of self-defense. McMillan claims that Bovell grabbed her, hard, on the right breast, and she acted instinctively to stop what felt like a sexual assault. 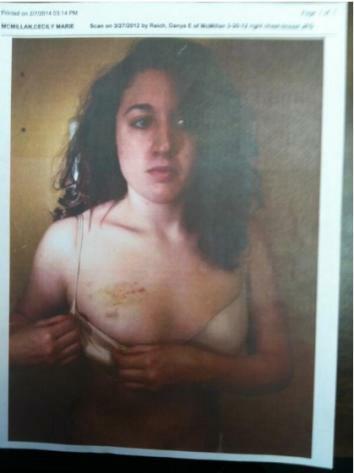 McMillan had evidence for this claim: a hand-shaped bruise on her right breast, which she and her advocates have shared widely online. She also talked about her injuries with Amy Goodman on Democracy Now. The jury was not permitted to hear about other accusations of police brutality against Bovell. But according to the Guardian, the same day as the elbowing incident, another Occupy protester accused Bovell of banging his head against seats during the arrest roundup. The Guardian also reports that Bovell was accused in 2010 of deliberately running down a 17-year-old boy on a dirt bike, causing the boy to break teeth and get a head wound stitched up. As you can see in the video, it’s impossible to tell if Bovell did or didn’t grab McMillan’s breast. But the prosecutor’s willingness to get so aggressive in her accusations against McMillan suggests to the public that the justice system is more worried about a protester elbowing a cop than the possibility that a cop is using arrest roundups as an excuse to sexually assault young women.